Spend more time in the great outdoors with a trip to Route Lake Lodge, a fishing and hunting lodge located just north of Dryden, ON. 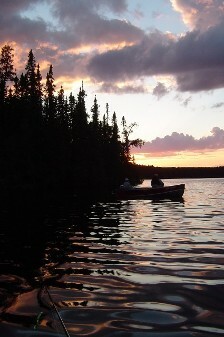 We are the only resort on the lake, which our guests have access via boat. Contact us to find out more about our scenic location. Whether you want to enjoy independent fishing or have a guide for the day or some quiet time in a private cabin, with many secluded sand beaches and beautiful sunsets Route Lake Lodge offers just what you need. 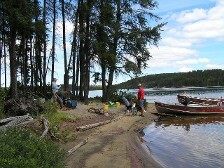 After a day of fishing head to one of our beaches on Route Lake for a refreshing swim or maybe a shore lunch. 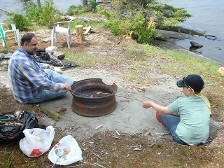 We enjoy and value our secluded location and we know you will too. 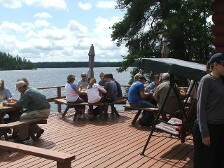 Route Lake Lodge is family owned and operated to give you more of a personal touch and to make your stay memorable and enjoyable. Our resort runs on solar and generator to give you 24 hr electricity. 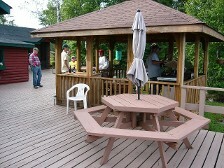 Free WI-FI in the main lodge, please bring your lap top. Every Wednesday we have a catch and release fishing derby on Route Lake"only "for the biggest Walleye and Northern caught , for the fishing season each one will win a free Housekeeping Package for the following year followed by a camp fish fry for all our guests. We aim to help you make the most of your stay and add you to the long list of guests that keep coming back for more; some people have been coming for 30 years straight. Jan 10 - 13, 2019, St Charles IL, Pheasant Run. Please print of the coupon above to these shows. 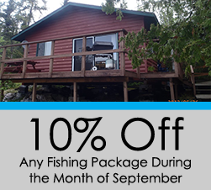 Call or email us today to ask about reservation information for our fishing & hunting lodge.